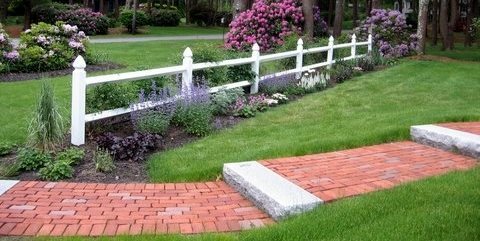 A brick walkway is the perfect complement to a colonial or farm style home. 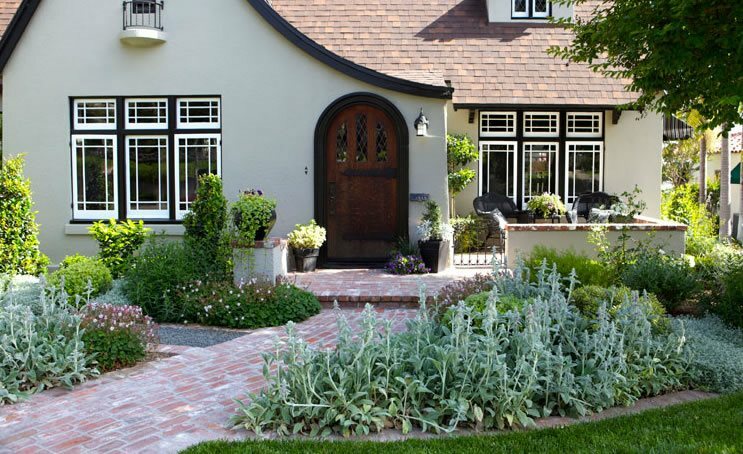 Clay bricks have a traditional appearance that gives off a sense of age and refinement. 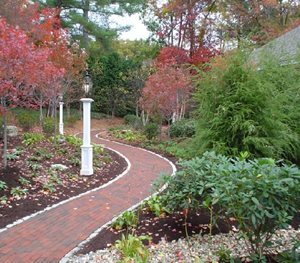 Depending on the walkway width, shape and brick pattern you select your walkway can be formal or casual. 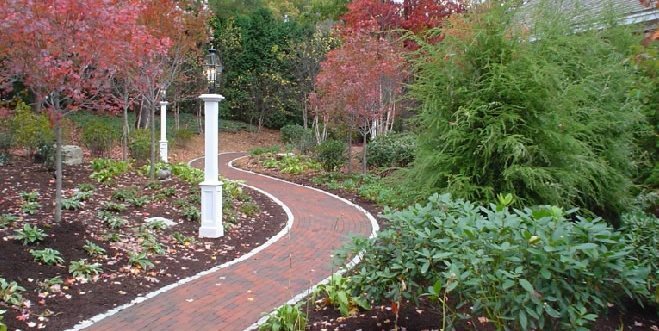 Brick can be used with other paving materials such as concrete, natural stone and cobblestone in order to create a unique garden path. 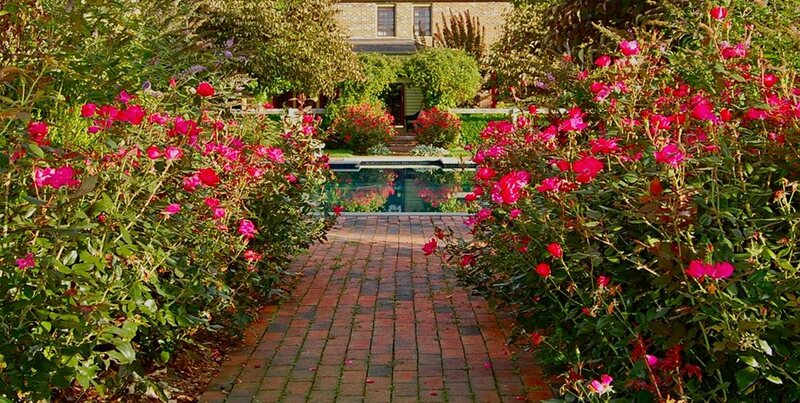 This brick path, which leads to a swimming pool, draws the eye forward. 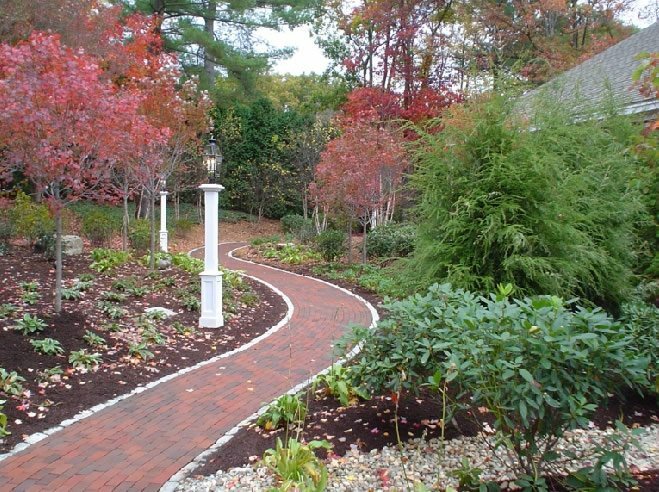 The running bond pattern which was laid lengthwise creates an effect of movement along the path. 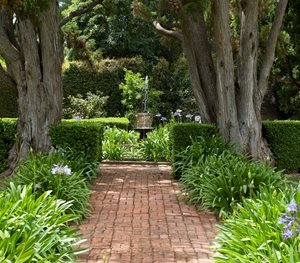 Notice that the path is extra wide to allow plants to spill over its edges. Unlike straight paths, curved ones have a hidden destination that provides a sense of mystery. 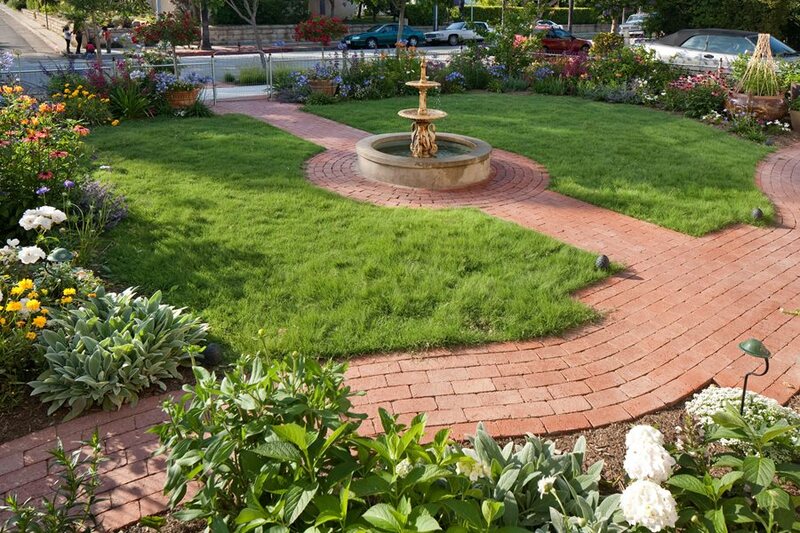 Here red bricks were laid in a running bond pattern with two sweeping curves. 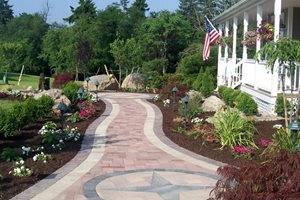 Granite Belgian block edging finishes off the path. 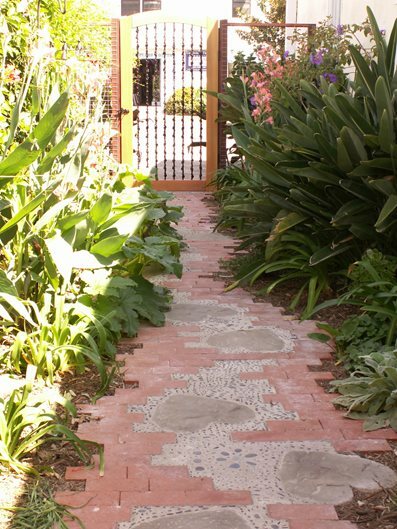 For a truly unique walkway bricks can be combined in a mosaic-like fashion with other materials. For this preschool entryway concrete hearts and pebbles were embedded in the center of the path. Notice how instead of cutting the bricks to create straight edges they were left whole creating a random effect. 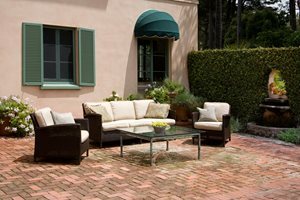 Brick is a material that can appear casual or formal depending on how it is laid. 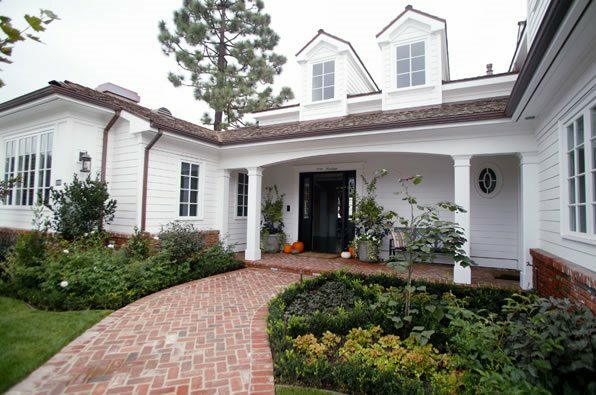 For this home’s front entrance, a casual herringbone pattern was used to create a wide curved path. The addition of a precisely aligned border of bricks adds an air of formality. 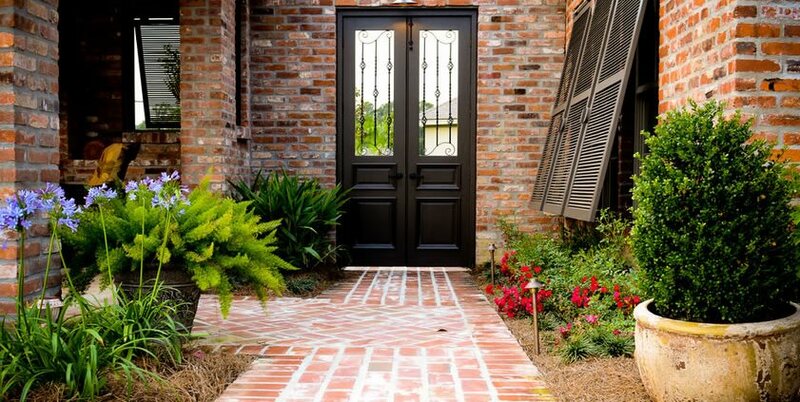 For a walkway that appears to have been around for years, Margie Grace of Grace Design Associates in Santa Barbara, CA suggests using salvaged or used brick that has been factory distressed. “Beware the cheesy-looking paint-splattered used brick - it’s not believable,” says Grace. Another option is to sandblast new brick walkway after it has been laid. 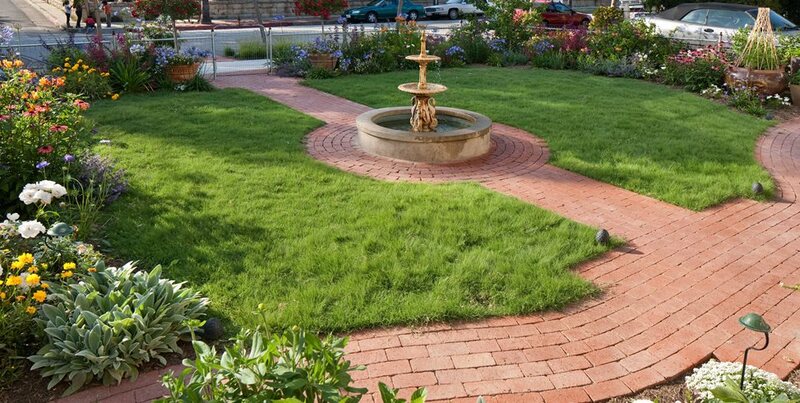 Furthermore, using the dry laid installation method (brick set over sand) will make your walk more authentic. 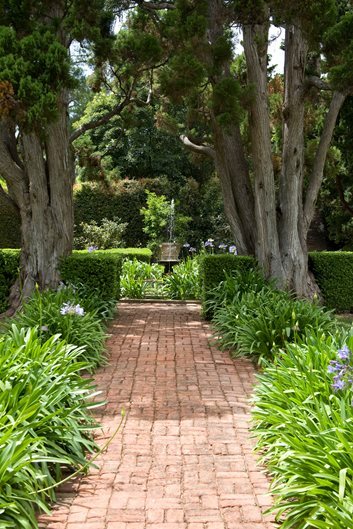 “The bricks tend to settle into the soil a little, adding just the right amount of wonkiness to look as though it’s been in place for a long time,” she adds. 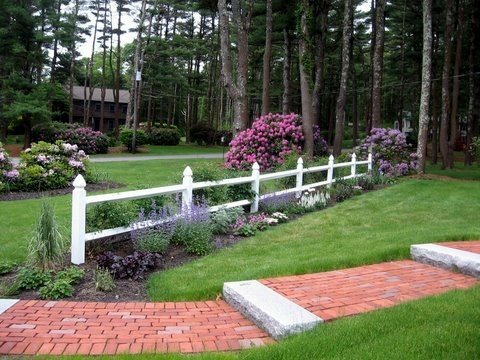 Finally, the width of the path can be decreased down to 28-32 inches wide. “We used to build things on a much smaller scale than we do now,” Grace notes. 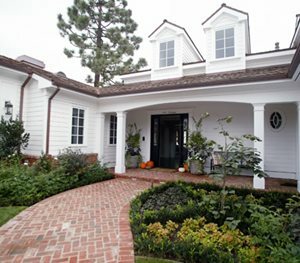 There are a variety of different patterns for laying brick. Some patterns are very simple while others are complex and require extensive brick cutting. 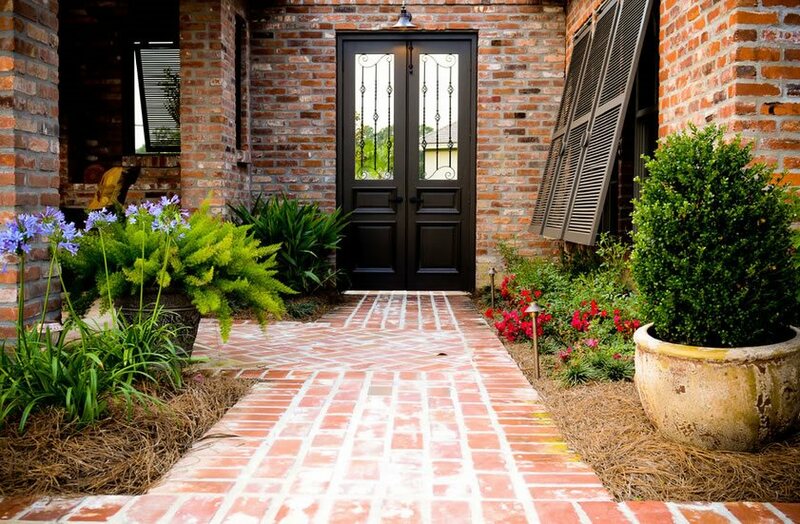 When selecting a pattern, consider whether you want your new brick walkway to be subtle or eye catching. 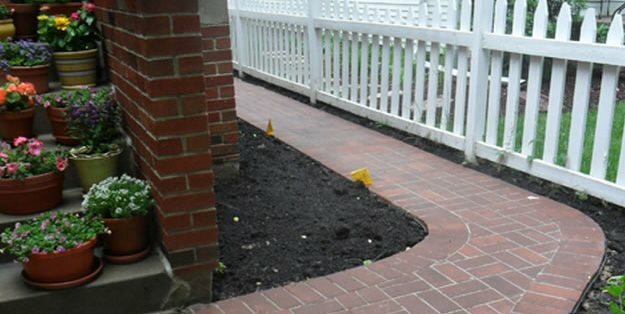 Patterns that have continuous lines such as running bond draw less attention than those that have many broken lines such as herringbone or basket weave. 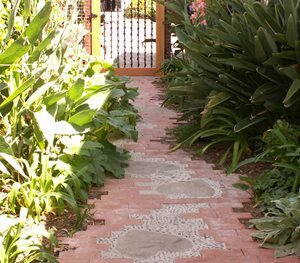 Patterns can be mixed and matched along a walkway to designate transitions or places of pause. 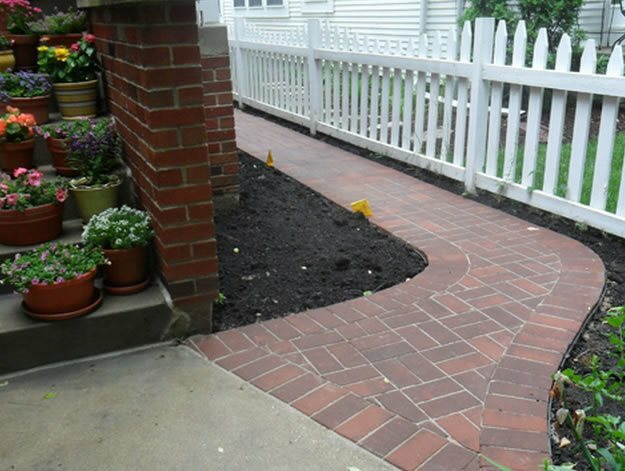 A good brick layer will be able to help you decide on the best pattern. 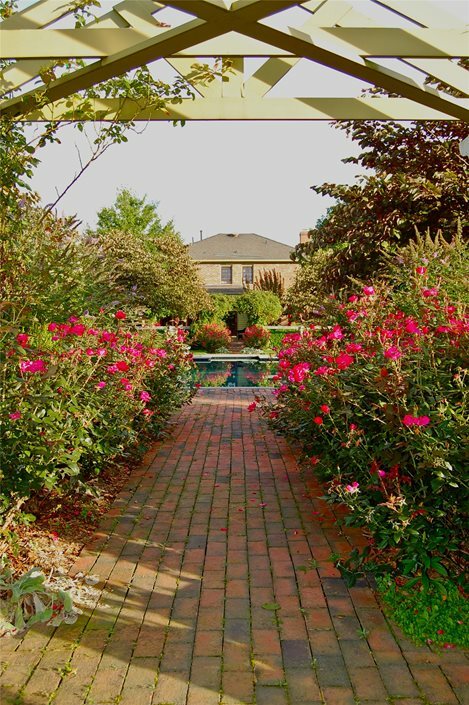 Having any sort of brick paving laid will run between $10 and $25 per square foot depending on the type of brick, pattern, site conditions and other factors. 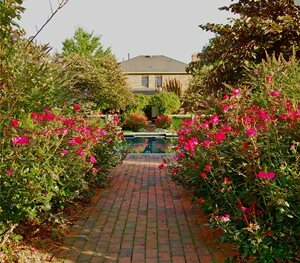 Luckily, most residential walkways do not cover an excessive amount of space, meaning that the square footage will be low. Depending on your budget, this may make it possible to spend a little extra on customization. 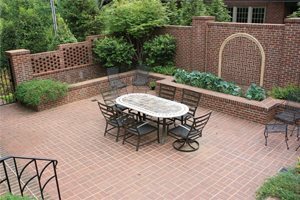 The cost of brick is comparable to the cost of concrete or interlocking pavers and they are installed in a similar fashion.